See the bigger picture with a validation survey that details how you can control your environment more efficiently. Recent research shows 39% of energy in a building is wasted. This could be as a result of poorly designed, out-of-date control systems or a system that isn’t operating correctly. By carrying out a validation survey you can see how to make your BMS more efficient, improve your overall control, and potentially reduce the amount of wasted energy. A validation survey will give you a detailed understanding of the condition of BMS components such as controllers, sensors and control panels throughout your building. This allows you to make targeted improvements so you can save money on your energy bills and reduce your carbon footprint in-line with challenging government targets. Call 020 8249 6010 to speak to a specialist about a validation survey. After the validation survey is completed, you’ll receive a full report detailing each item that the BMS is operating or monitoring. This will include photographic evidence of any items that would benefit from further attention to improve the operation of your BMS. You’ll also receive recommendations from our engineers where your control system could be extended or developed to improve its overall performance. This could be for physical components such as extra field devices, control panels, or software upgrades to improve monitoring and control. 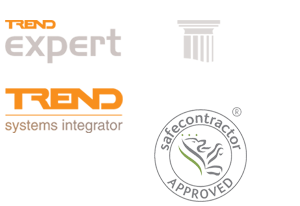 Whatever recommendations we make, we’re happy to provide you with a competitive quote to ensure any work we carry out is cost-effective.